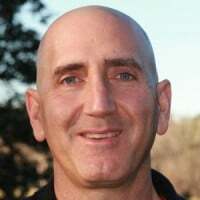 Howard Jacobson, PhD, runs TriangleBeWell.com, a health consulting service that empowers people to go from managing conditions to achieving true wellness. As a researcher, educator, and coach, Howard helps clients make informed decisions and take control of their health destiny. Howard is also the host of the Plant Yourself Podcast, and contributing author to WHOLE: Rethinking the Science of Nutrition, by T. Colin Campbell, PhD, and Proteinaholic, by Garth Davis, MD. Howard lives with his family in Pittsboro, North Carolina, where he likes to garden, practice Russian Martial Arts, play Ultimate Frisbee, and run the “No Soup For You” chicken sanctuary. Caryn Hartglass: Hello Everybody, I’m back! I’m Caryn Hartglass and this is the second part of Its All About Food. Thank you for joining me. And were you enjoying that break? I was. I was just like rocking and moving to the music and grooving. Right, okay I’m having a good time here and I hope you are too. And now we’re going to have an even better time because I am really looking forward to my next guest. I have a bunch of listeners over, I don’t know how long it’s been, but have been recommending people I should have on the program. And my next guest is actually one of them that some of my listeners have thought that we would really do well together so I am going to bring him on. Howard Jacobson runs trianglebewell.com a health consulting service that empowers people to go from managing conditions to achieving true wellness. As a researcher, educator, and coach, Howard helps clients make informed decisions and take control of their health destiny. He is the host of Plant Yourself podcast and contributing author to Whole: Rethinking the Science of Nutrition by T. Colin Campbell, Ph.D. and Proteinaholic by Garth Davis M.D. And he lives with his family in North Carolina where he likes to garden, practice Russian martial arts, play ultimate Frisbee and run the “No Soup For You” chicken sanctuary. Howard, welcome to It’s All About Food. Howard Jacobson: Thank you Caryn, it’s great to be here. Caryn Hartglass: Yeah so I want you to just relax, chill a little bit and we’re going to have a nice conversation about what I think we’re both very passionate about, plant food. Howard Jacobson: Right on, I had some for lunch. Caryn Hartglass: Plant food, you did? What did you have? Howard Jacobson: It was last night’s bok choy soup. Caryn Hartglass: Okay, can we just give our praise to leftovers for a moment? Howard Jacobson: They’re 90 percent of my diet. Caryn Hartglass: Leftovers. What’s wonderful is when you make a lot of food, a lot of great food and then you can eat it as a gift the next day, and the following day and it’s just a wonderful, wonderful thing. Howard Jacobson: Right, if you do it on purpose you can call it planning, it sounds better than leftovers. Caryn Hartglass: I think I may have to do that, planning. I call them leftovers a lot and leftovers, they have such a bad rep and I don’t know why. I think they’re lovely. All right, Howard Jacobson, I just finished reading Whole: Rethinking the Science of Nutrition. I can’t believe, I’ve had like five copies of it on my shelf because I went to the book launch party in Brooklyn. It was in a bowling ally and T. Colin Campbell was there and we got a bunch of extra books and I just never got around to reading it and I just read it, so I wanted to thank you for being a part of that because it’s a phenomenal book. Howard Jacobson: Well, everyday I wake up and I’m thankful for having been allowed to be a part of it because I learned a ton and it was really my introduction to the plant-based community group in a professional sense. So I’m thrilled to have my name on the cover and to have contributed. Caryn Hartglass: It’s a phenomenal book. I want to know, you are the master of metaphors and were you brought up with metaphors all around your life? You just seem to be very gifted with creating metaphors. Howard Jacobson: That’s just kind of how I think. I’ve tried to make a metaphor out of it, but nothing comes to mind. Yeah, one of my advantages in this field is that I’m really interested in lots of things. So one way to look at it is that sort of Jack-of-all-trades, master of none, but the other way is that I’m sort of a synthesist. So I take ideas that I’ve gotten from other places and say, hey that sounds familiar, that looks right and I find that when you kind of explain something in a way that relates to something somebody already understands, not only to they get it but they remember it because the metaphors are actually just little stories that are encapsulated in a few words. Caryn Hartglass: I love metaphors so I love that you do that really well and there were a bunch of good ones in Whole and I have Proteinaholic on my shelf and I am going to have Garth Davis on my program in a few weeks so I will definitely be reading and digesting that book soon and I’m sure it’s another wonderful one that you got to contribute to. Howard Jacobson: Yeah Garth and I were talking the other day and neither of us can remember what we wrote and what the other person wrote. Caryn Hartglass: That’s sweet! Hah! Howard Jacobson: That’s when you can tell it’s a good synergy. Caryn Hartglass: Yeah, okay, so you became a vegan about 11-12 years ago? Howard Jacobson: I’ve had a sort of rollercoaster approach to diet. I became a vegan in 1990 after I read John Robbin’s Diet for a New America and that lasted for a couple of years and then I swear I just sort of forgot. It wasn’t like a conscious decision; it wasn’t like a lapse or anything. It was just like it hadn’t happened. Like one day I sort of just found myself eating like a regular American again. And that’s happened to me a lot of times in my life and when I started working on Whole I went back to a very rigorous plant based diet and that’s where I’ve been since. So that was sort of 2011 was my last incarnation as pretty much 100% whole foods plant-based. And that’s where I’ve been since. Caryn Hartglass: Okay, well I hope you stay with us. Caryn Hartglass: Who are you? Howard Jacobson: I said “What?” And she said “Well, don’t you remember you threw out all…” “Oh, yeah that sounds vaguely familiar.” So I need reminders. Caryn Hartglass: Do you still have that piece of cookware? Caryn Hartglass: Yeah, well there’s different kinds of nonstick cookware so I think by now the message is out about how evil Teflon is and there are different companies that have been coming up with different coatings and treatments to cookware where it’s not out yet entirely whether some of these are any better. Caryn Hartglass: It takes awhile to learn about how awful the next new technology is for us, but in the meanwhile we can be happy using them. Howard Jacobson: Right and in the mean time use them quickly until the studies come out, Right? Caryn Hartglass: Exactly. Hmm, yeah well I just stick to stainless and cast iron. Stick to stainless. I didn’t mean to do that I just made a little pun there. Okay so, very good so Diet for a New America was a beginning for you. It was a beginning for many people. I love John Robbins. Fortunately, he’s a good friend of mine and he’s just a wonderful person and he has impacted so many people who have then gone on to be a big influence on many more people and I love that, the way that happens. Howard Jacobson: Yep, he’s a definite elder of the movement. He graciously agreed to be on my podcast when no one was listening to my podcast. I feel like I had like seven people including most of my family members and I asked him and he was so generous with his time. He even emailed me and said, “Hey, I forgot a couple things. Can we do another show?” And that really gave me such a huge boost so I am forever in his debt for many reasons. Caryn Hartglass: Yeah, generous is definitely one word that describes him. He has always been very generous with his time and his heart and his love. Good man. I’m choking up just thinking about it. You have a Ph.D. in stress management and yet you were an expert I suppose in stress and you were stressed out. Howard Jacobson: Well, we all end up studying what we need to learn. Caryn Hartglass: That’s an important point and for those of you that are in therapy that are going to a psychiatrist or psychologist, you have to know that most of them need therapy themselves. Anyway, how did you get out of or how did you ultimately apply your knowledge of resolving you issues with stress? Or have you actually? Are you calmer now? Howard Jacobson: I’m certainly calmer now. I don’t know if you know compare me to placebo, I look pretty good. If you compare me to normal people, I might still seem a little agitated, but I did move from New York to North Carolina, which has helped a lot. Actually what it turns out what I really got out of my studies on stress was not so much the details of stress, but my frustration and inability to make institutional changes. So I did all these interventions at schools. And I really wanted to teach the teachers and teach the kids so that when I went away the results would last and it turned out that I had no idea how to institutionalize change. I knew from my years of studying health education, I have a doctorate in health education and a masters in public health. I knew what to tell people, but I didn’t know how to get them to change behavior. So that realization that yeah, I got some good results, I was able to publish, I had charts and stuff in my dissertation, but I knew in my heart, I did not know how to make a meaningful long-term impact. So that’s what I then spent the next 10 years of my life studying. Caryn Hartglass: And my understanding is, which is genius, is that you used your marketing know-how to help make behavioral changes. Caryn Hartglass: Exactly, use the same techniques those evil people do. Howard Jacobson: So now I do a combination. I actually went into marketing for 15 years and I had a digital marketing practice and I coached entrepreneurs and slowly the dream that I was going for, this health dream was receding into the golden handcuffs of helping people make money on the internet, until T. Colin Campbell roused me from it in 2011, but partly it was about teaching people these techniques. But partly, and actually more importantly, it was about inoculating people. So now, when I work with clients, one of the things I do is that I teach them how to become their own marketing agency so they can market to themselves much louder than mainstream America can market to them. Caryn Hartglass: We were talking about this in a different way in the first part of the show, and that is about the voices that you hear in your head and it can affect all aspects of your life and for many people it effects their health and their weight and I always love to hear about different strategies to rescript those voices and a marketing strategy is a good one. Howard Jacobson: Yeah when you think about it if you dropped an alien from outer space onto any block in the United States and had them try to find food, assuming that ate the same sorts of things we do, what would be the things that they would be able to find? You know, and how hard would it be for them, not knowing, not knowing our culture, how hard would it be for them to eat like you and I do? Compared to eating hot dogs and pretzels and cheese fries and root beers and cokes? Caryn Hartglass: Yeah, I don’t see it as hard and yet for so many people it is hard. Caryn Hartglass: Yeah, because the healthy food people don’t have a good marketing team and a good marketing budget behind them. Howard Jacobson: Right, but one-to-one marketing is very effective. It’s much more effective than mass advertising. So knowing that, if you can learn a few of the tricks of the trade, you can market to yourself; you can drown out almost everything else by just reconceptualizing the way you think about the products in our world. Caryn Hartglass: I know for me, it was a long time ago, I became vegan in 1988. And I know what I did in my mind. I love to cook, and back then cheese and butter were big parts of my repertoire and I kept thinking, “I know I have to give up dairy because it’s not good for me and I can’t stand what I read about what is happening to the cows. How am I going to do this?” And I just focus on those things that bothered me. I looked at the dairy and the cheese and I thought, “That’s cancer.” And “That’s exploitation.” And rescripted in my head that the foods that once tasted good I finally could associate with something really unpleasant and negative and it wasn’t food anymore. Howard Jacobson: Right, and another thing is that all of us are different in how we motivate ourselves and how we conceptualize the world and how we process information. For some people, that approach backfires because it goes negative and it’s not how their minds work and they need to find a different way to do it. So another part of becoming your own marketing agency is understanding yourself. Doing experiments. Studying how you respond. Looking back over your history and determining what have you change in your life and what was hard. So you can craft the message that works precisely for you. Caryn Hartglass: That’s good. Now, you made this transition and it took some time and you brought your family along? Howard Jacobson: Yeah to a certain extent kicking and screaming. My kids were youngish. I also, I didn’t mention, I also had a stint around 2004-2006 and that kind of flamed out as well. When they were much younger, my son likes to remind me about the time I think it was his sixth birthday party and we invited all of his friends over and I made what he describes as like a carrot, avocado, kale cake. Which I believe is an exaggeration. Caryn Hartglass: It was a big hit? Howard Jacobson: Yeah, this is one of those things that tens of thousands of dollars of therapy later he might forgive me. Caryn Hartglass: And, what does he eat? Does he eat a similar diet? Howard Jacobson: He eats a similar diet. He, I would say he is about 80-85% whole food plant-based and I think it’s real important to as a parent or as anyone, to let people find their own path. So that’s what we’re doing. He’s certainly eating healthier than any of his peers. Caryn Hartglass: I also missed when The Low-Carb Fraud came out. And that’s also on my list of reading material. One of the very frustrating things in this food system that we’re all a part of is the marketing that markets lies and fraud. And the government, how it supports all of that. The Low Carb Fraud, can you give us a little summary of what came out of that book? Howard Jacobson: Sure, it’s basically, you know we have sort of main stream nutrition that’s just ridiculous, it’s just you know, you eat vitamins. You eat oranges for vitamin C, you eat milk for calcium, carrots for Vitamin A. And that’s how America thinks about nutrition. And it’s ridiculous and it’s disempowering and it leads people to eat crappy diets and try to make up the difference with supplements. But then this other story came along that was very compelling, very interesting, and very holistic. And it was sort of the paleo story. And the story is that basically human beings evolved as hunter-gatherers and we should go back to the way things were and get out of this sort of Western sissified society and go back to being real cave men and women wearing our skins and clubbing animals and going back to our origins. And that’s a really powerful story for a lot of people. You know, anyone who saw Fight Club and felt their blood stir at the idea of, we are being commoditized, we are being domesticated by this society. And paleo managed to wrap diet around that longing for agency, for importance. To not just be some cog in a wheel to sit in some Dilbert cubicle your whole life doing meaningless things, shuffling papers. Paleo is now cross fit. It was reclaim your ancestry, become a real human and so it’s a great story. And the only problem with the story is that it’s wrong. Howard Jacobson: Right, so then if you eat that way you will end up much sicker, and less virile, and less capable and less caveman-y than if you ate the way that actual cave people probably ate, which was mostly plants and you know, the animals were sort of for fun, when you could catch them, when you had enough plant food in you to sustain a risky hunt then you might go do a hunt. But otherwise you were living on plants. And so the paleo story is the equal of the plant-based story in terms of it makes sense. It’s a holistic worldview. It just happens not to be based on evidence. And so that’s kind of why we wrote this book that you know, showing how the marketing works. Showing the difference between the marketing and the actual research and saying this is, certainly paleo is better than standard American because you’ve already cut out about half the crap, but why not go all the way? Why not eat a really healthy diet? Caryn Hartglass: Why not? My understanding as you’ve mentioned is that the way our Paleolithic ancestors were eating was much closer to a high fiber plant-based diet than a paleo diet today as much as paleo people would not like to hear that. Howard Jacobson: Right, as hard as this may be for you to believe, cavemen and women were not grinding up coconuts into sugar and flour. They were not making cookies out of almonds. And they were not eating three bison a day. When you look at, there’s a great book by Don Matesz called Powered by Plants. And he does kind of an anthropological look at the argument for the paleo diet and it’s simply from a caloric perspective, simply doesn’t add up. If you weren’t 95% powered by plants there’s no way you could sustain a hunting society. Caryn Hartglass: Right on, it’s plants! It’s all about plants and plant foods are delicious. So let me ask you, what are your favorite plant foods? Howard Jacobson: Whatever’s in the fridge for leftovers. Caryn Hartglass: Yeah, plant leftovers, that again! Howard Jacobson: So gosh, I mean, I did an interview with Alan Goldhamer the other day, from True North and I was asking him, like, I did a water fast many years ago, 7 day water fast. And then after it ended I took their advice and I ended it with some steamed zucchini, like two little pieces. It tasted so good. It was amazing! Howard Jacobson: And I thought, is it my taste buds or something. He said, no that’s how zucchinis taste. That’s what happens when you clear, so the answer is like, there’s no plant food…when the cleaner my palate gets the better I like everything. Caryn Hartglass: It’s funny that you brought up water fast because we were talking a little bit about it earlier and I did a three-week water fast supervised by Dr. Fuhrman back in 2000, I think. And I was refed on zucchini and it’s such an unforgettable experience how sweet that steamed zucchini was! Unforgettable. Howard Jacobson: Yeah, maybe we should talk to the zucchini marketing agencies and tell them to promote it after, you know, weeklong water fast. Caryn Hartglass: Yeah it’s a sweet food. Okay well, it was great getting to know you and great speaking to you and I look forward to reading the other books that you’ve contributed to and the ones that you’ll probably contribute to in the future. Howard Jacobson: Right on, well thanks so much Caryn for having me on, I really appreciate it, and a shout out to whatever of your fans recommended me because it’s been an honor and a pleasure to talk to you. Caryn Hartglass: Okay, thank you! We just have a few minutes left and I wanted to talk about a number of things going on. Number one, for those of you who are in New York and you are looking for a fun thing to do tonight, Miyoko Schinner who has a wonderful line of vegan cheeses, if you haven’t tried them yet, she is having a book signing and tasting at VSPOT. It’s sponsored by the vegan travel club and she’s part of one of these greener travel vegano-tours. We talked to Donna Zeigfinger a few weeks ago about it and you can go to that event. The information is, it’s an evite event so if you go there you can find out more about it and it’s at VSPOT tonight! Then if you’re really into vegan travel at blissedoutretreats.com I just wanted to mention my friends Allison Rivers Samson and Christy Morgan are having a week April 3rd-10th in Bali, Indonesia. It’s an authentic self-expression experience with nia dance, yoga, self-care, wonderful. It’s for women only and if you’re interested in that go to blissedoutretreats.com. I also wanted to mention there’s a really fun commercial to watch, Wendy’s now has a black bean burger which can be made vegan upon request by removing the cheese and parmesan ranch sauce and if you google Wendy’s Black Bean burger commercial you can watch the commercial. The black bean burger is made from brown and wild rice, faro, onions, carrots, corn, green and red bell peppers and it’s grilled separately from the meat which is really good news. Right now they are expanding their test markets and maybe you can check out a black bean burger at Wendy’s near you. You know, not that I’m encouraging fast food, but I certainly like the idea of upgrading fast food and including more vegan options. And the other thing I wanted to mention is that we talked with Aubry Walch last week just before the opening of The Herbivorous Butcher, which opened on Saturday. It was a huge success. I’m so excited for them. They had a line around the block for the opening and this is just the beginning. And I know that there are meat businesses that are not liking this idea of a vegan butcher, but the world is changing and I really like the way some vegan food companies are now changing the game, making foods that people like to eat. Meat foods, dairy foods, egg foods, but making them with plants. Starting with plant ingredients and ending up with the same end product. Better, cheaper, healthier, kinder on the planet. All good. And just one minute left. Visit me at responsibleeatingandliving.com. That’s where I live. I have the What Vegans Eat blog. We’re on day 348. I can’t believe we’re almost coming up to one year of what this vegan eats every day along with my partner, Gary, and there are recipes and it’s fun. And it’s real because that’s where I live at REAL: responsibleeatingandliving.com. Okay thanks for joining me, thanks for tuning in. You can email me at info@realmeals.org and have a delicious week!